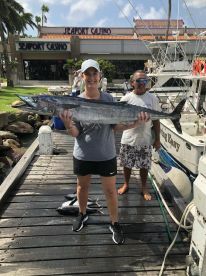 Mahi Mahi charters' fleet is comprised of spacious, diesel-powered vessels that are known for its swiftness and comfort. 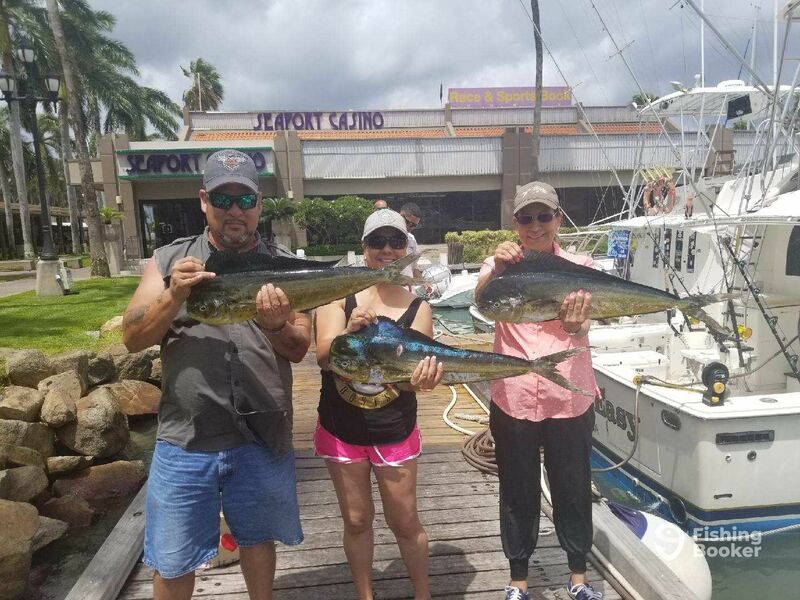 The dock is only minutes away from the prolific drop-off, teeming with a variety of game fish that attract thousands of anglers each year. Wasn’t the greatest day fishing. But that’s why it’s called fishing not catching. 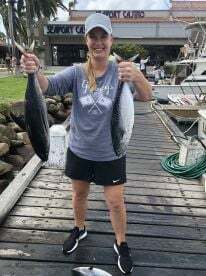 Overall it was a good day being out on the water and on a great fishing boat. I think the fish were taking a Sea-esta. The Sea-iesta is a good sized fishing boat that can handle the Aruba winds. It could have been a bit cleaner for its guests, but everything was outfitted well and the mate was helpful and friendly. The captain would benefit from a course in Customer Relations. He’s not the friendliest guy and seemed a bit more interested in getting paid than making his customers (who did pay upfront) welcome. Could be his general personality, but you may be put off by his demeanor since Arubans are exceptionally friendly. We did catch fish and had a good time in the end. The Captian and mate were great. My hat flew off on our way back to shore and he insisted we retrieve it. So he put it in reverse and the mate scooped it up for us. 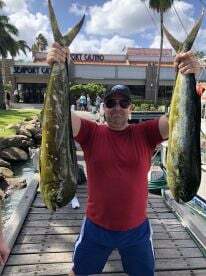 We landed a small tuna and a few Mahi Mahi and Bonita’s. The boat itself has seen better days and could use some updating.